TUESDAY, Feb. 26, 2019 (HealthDay News) -- Young men diagnosed with testicular cancer often worry that treating the disease may jeopardize their chances of having children, but new research should ease their minds. In the study, sperm counts rebounded in men who received one course of chemotherapy or radiation therapy after surgery for early-stage testicular cancer. It was known that several rounds of chemotherapy or high doses of radiotherapy given to men with more advanced testicular cancer can reduce sperm count and concentration, but it wasn't clear whether a single course of chemotherapy or radiotherapy would have a similar effect. To find out, researchers looked at 182 men, aged 18 to 50, who had surgery for stage 1 testicular cancer. The surgery was followed by either one course of chemotherapy, one course of radiation therapy or no further treatment. The men provided sperm samples six months, one year, two years, three years and five years after surgery, according to the study published Feb. 24 in the Annals of Oncology. "We found no clinically significant detrimental long-term effect in either total sperm number or sperm concentration, irrespective of the type of postoperative treatment received," said study leader Kristina Weibring, a cancer doctor at the Karolinska University Hospital in Stockholm, Sweden. "Among men who received radiotherapy, there was a distinct decrease in average sperm number and concentration six months after treatment, though not in those who received chemotherapy," she said in a journal news release. "However, sperm number and concentration recovered in the radiotherapy group after six months." Weibring noted that "one course of postoperative chemotherapy has been shown to decrease the risk of relapse substantially, thereby reducing the number of patients having to be treated with several courses of chemotherapy." Testicular cancer is the most common cancer in young men between the ages of 15 and 40. All patients have surgery to remove the testicle with cancer, a procedure called orchiectomy. "Testicular cancer patients are often young men wanting to father children at some point, and we find, in many cases, that the patients are afraid of the potential risk of infertility caused by chemotherapeutic treatment. These findings should provide some reassurance to them," Weibring said. 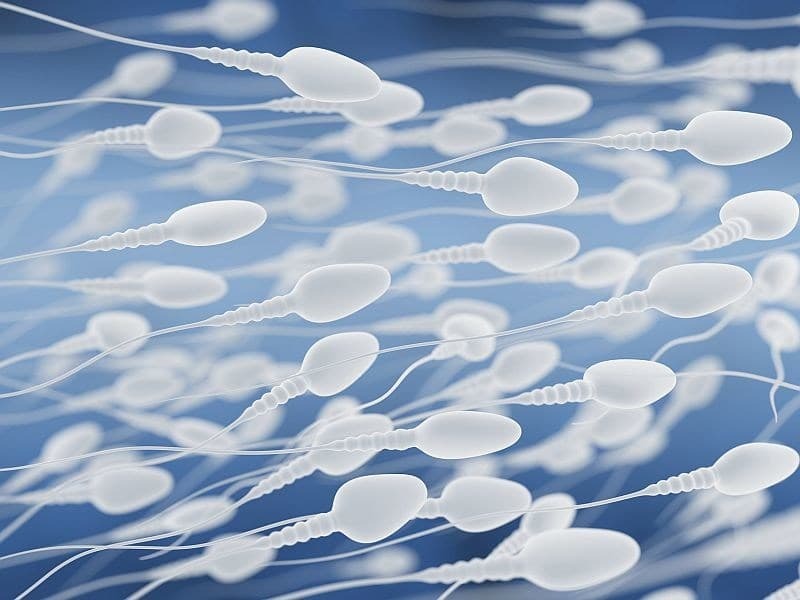 While the results are promising, further studies are needed "and we still recommend sperm banking before orchiectomy as a number of patients may have low sperm counts at the time of diagnosis that persists after postoperative treatment," Weibring said. Journal editor-in-chief Fabrice Andre is a professor in the department of medical oncology at the Institut Gustave Roussy, in France. He said, "The finding that one course of chemotherapy has minimal impact on sperm count offers hope for thousands of patients worldwide, but we all must keep in mind that these data are preliminary and will require validation before we can use them in clinics." The American Cancer Society has more on testicular cancer.